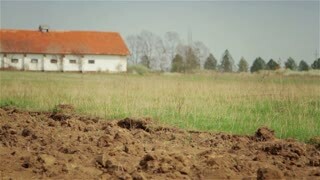 In a 1940s home front film a farmers brother returns from the frontlines of the war in Europe, blinded by an injury. 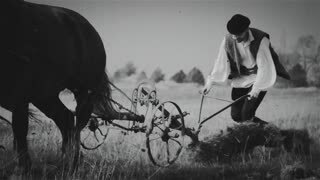 Farmer plowing a field with two horses. Black and white. Transylvania (central part of Romania) ? circa 1940. 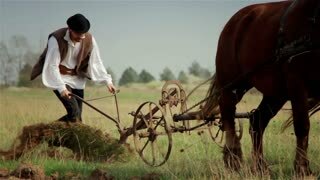 Farmer plowing a field with two horses. Black and white. Transylvania (central part of Romania) � circa 1940. 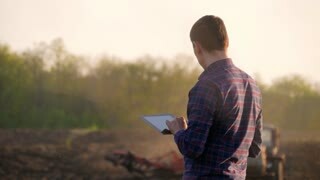 Young farmer holding tablet in front of tractor in field. 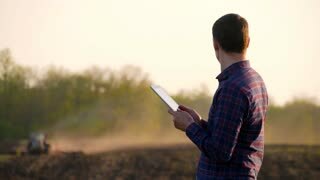 Farmer controls the work in the field over it's tablet. Seasonal agricultural workers. 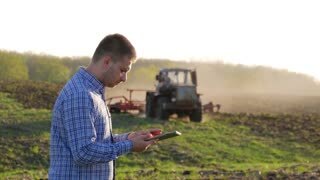 Young farmer holding tablet in front of tractor in field. Seasonal agricultural worker. Concept ecology, transport, farmers, clean air, food, bio product.